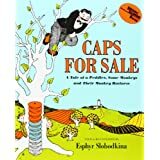 Yesterday’s circle story was Caps for Sale. Today,when I dropped my child off at school he made a bee line for the painting easel. 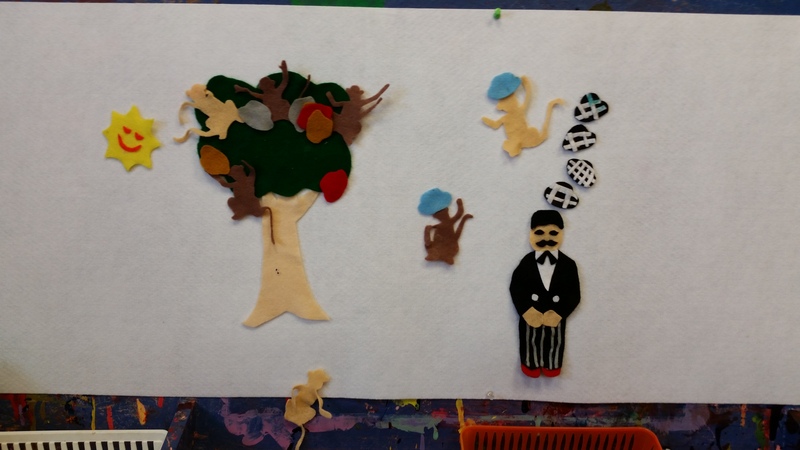 It was covered in felt with felt cutouts of all the characters from the story. The kids could re-enact the story or tell a new one. I think that the monkeys were the most popular part.